Complete your continuing education to renew your Missouri real estate license today. All of our courses can be completed At Your Pace online in order to help you maintain your license. Once you finish your class you will have an official certificate of completion available and we will report your course completion to the commission for you automatically. 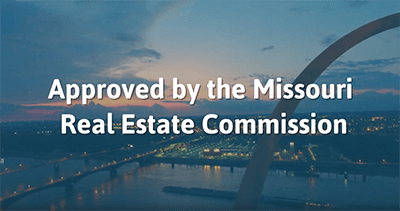 We are approved by the Missouri Real Estate Commission as an online CE provider (MREC School # 28400). Brokers Licenses expire on June 30th of even numbered years. 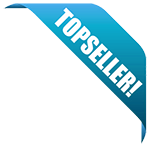 Salespersons Licenses expire on September 30th of even numbered years. Most licensees are required to take 12 hours of Continuing Education. Out of those 12 hours, 3 hours must be on Core Topics and 9 hours can be on Elective Topics. This 9 Hour course is approved by the Missouri Real Estate Commission as 9 hours of Elective credit. It will meet all your Elective hour requirements. This course will help licensees identify the best listings to serve their clients' needs, effectively evaluate a property, explain to customers the difference between appraisals and CMAs, create advertisements which comply with advertising laws,and design a robust and comprehensive advertising plan. It will also teach licensees how to explain to clients the different types of loans, help the client determine the loan that will best serve their needs, and help their client to understand government back loans and determine if they qualify. Lastly in this course licensees will learn how to draft sales agreements which will protect their clients, understand the requirements for the new integrated mortgage disclosures, and explain the information found on the integrated mortgage disclosures to clients. This dual-license course provides training for those who are licensed in both Missouri and Kansas. This education will fulfill the 3 hour Kansas Broker Core requirement. It covers topics dealing with financial reports, brokerage policies and procedures and Broker Supervision and Escrow Account Management. This 3-Hour core course on ethics will fulfill your 2020 core course requirements. We will look at the NAR code of ethics as an example of what an ethical code should cover and how to apply ethics in real world situations. This course is approved by the Missouri Real Estate Commission for 3 hours of credit. It covers Fair Housing laws and the impact of Fair Housing on the real estate industry. This online 12 Hour Package is specifically designed for Real Estate Licensees in Missouri. It will meet ALL of your continuing education requirements. This course includes the Missouri 3 Hour Core: Fair Housing in Sales and Leasing, as well as the Missouri 9 Hour Elective; Making the Sale. The Missouri-Kansas Broker Package provides the student with 12 hours of the continuing education information and subject materials applicable to a broker's real estate license renewal. The course covers topics including listing agreements, real estate valuation, financial management, private and public financing, office policies and procedures, brokerage supervision and management, and handling escrow accounts, among many others. I am pleased to write with formal approval of the renewal of the following continuing education courses. Effective October 1, 2018, you may begin re-offering the courses listed below through September 30, 2020.